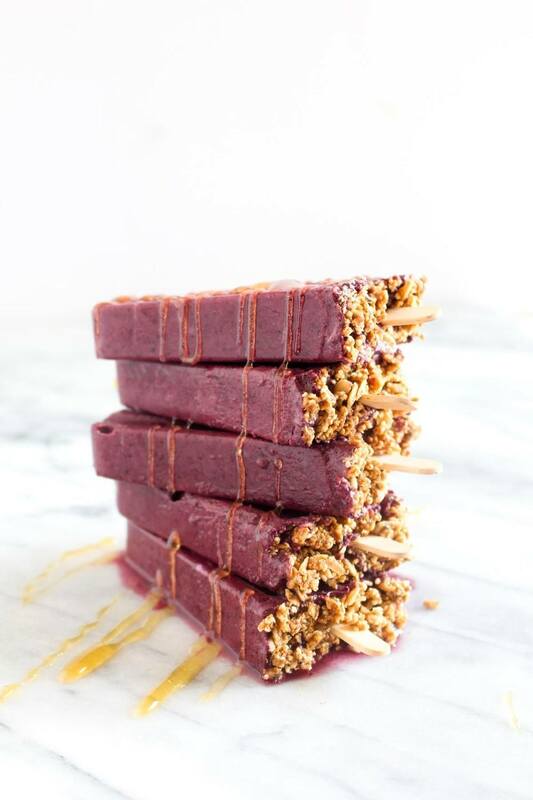 These Acai Bowl Popsicles are a 6 ingredient recipe that tastes like the tropics! Enjoy a healthy acai bowl anytime without having to clean the blender. Add all of the fruit and coconut milk into a blender. Blend until smooth and pour into popsicle molds. To the top of each mold, sprinkle on the granola. Freeze for 30 minutes, add in popsicle sticks. Freeze overnight or until solid.